Anyway a quick word here on my blog, I am trying very hard to stick to my new year’s resolutions (I said I will blog more often) hence I am quickly sliding in this post here about the Charge Up Conference. Technically, the conference has already started and I am rather sad that I can’t participate in it for today’s session as well as tomorrow’s session as I am currently stuck in Putrajaya for training at the moment. At the very earliest, I will make it there on Friday afternoon. This year’s Charge Up Conference is the largest one ever with the largest group of participants. This time round it will be in KL, held at DUMC. 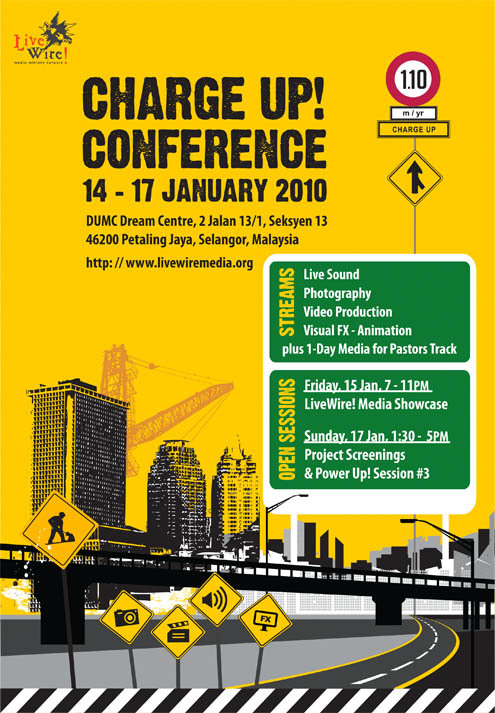 Check out some of my blog posts from last year’s Charge Up which was held in Penang over here, here and here. For the participants over there, see you all on Friday afternoon!